It’s easy to identify a white pine (Pinus strobus), but don’t look for white needles. You’ll be able to pick out these native trees because their bluish-green needles are attached to the branches in bundles of five. Gardeners living in USDA zones 5 through 7 are planting white pines as ornamental trees. The young trees grow rapidly in an appropriate site. 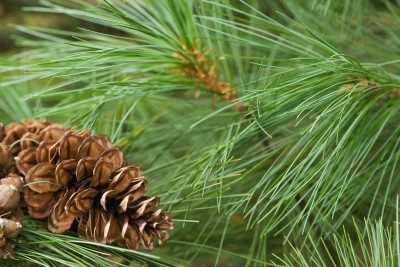 Read on to learn how to plant a white pine tree. 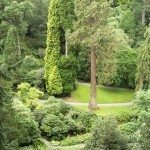 White pines are lovely evergreens with graceful habits. The lush, 3- to 5-inch needles make the tree look soft and attractive. White pine makes a fine specimen tree, but can also serve as a background plant, given its evergreen foliage. These trees grow in a pyramidal Christmas tree shape, with the tiered branches emerging at right angles from the central trunk. Before you start planting white pines in the backyard, make sure you can offer the optimal growing conditions for this pine tree. The trees will not thrive in a poor location. 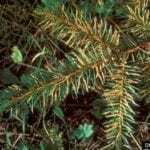 You will need to give your white pines rich, moist, well-drained soil that is slightly acidic. Ideally, the site you choose for white pines should get full sun, but the species tolerates some shade. 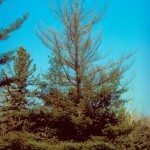 If you plant in an appropriate site, white pine tree care is not difficult. If the sheer size of white pine trees is a problem, consider one of the smaller cultivars available in commerce. Both ‘Compacta’ and ‘Nana’ offer much smaller trees than the species tree. White pine tree care includes protecting the tree from conditions that will damage it. The species can be injured by road salt, winter wind, air pollution, and ice and snow. 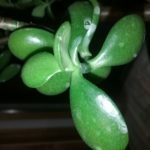 It is very susceptible to white pine blister rust, a disease that can kill the tree. Both gooseberry and wild currant bushes harbor rust. If you are planting white pines, eradicate these shrubs from the planting area.